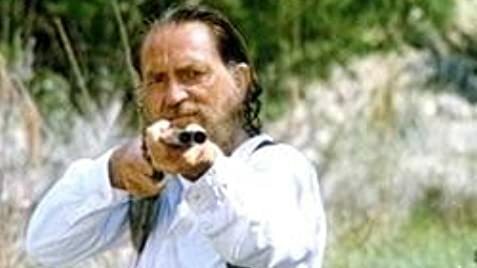 Revisionist western about fallen preacher Shay, who guns down his wife Raysha for running off with another man. Wandering, he meets single mom Laurie. However, helpless sheriff Scoby wants Shay to help him fight the villainous Clavers. Willie Nelson is a country singer on the road caught in a romantic triangle with Dyan Cannon and Amy Irving, the daughter of one of his longtime musical sidekick. Accused barn burner and con man Ben Quick arrives in a small Mississippi town and quickly ingratiates himself with its richest family, the Varners. After the Civil War, two brothers demobilized from the army return home and must rescue certain relatives who have been kidnapped by a band of renegade Confederates. After the Civil War, Tennessee brothers Orrin and Tyrel Sackett are herding cattle out West while Tell Sackett is prospecting for gold in the hills. A young cowboy hooks up with a legendary outlaw, and before long both are on the run from the law. A mysterious stranger rides into a homesteading family's life when they are attacked by a ruthless gang. The Oklahoma Land Run of April 1889 sets the stage for an epic saga of a frontier adventurer, his wife and family and their friends. In a frontier town, gunslinger-turned-preacher Jim Killian is caught in the middle of a violent range war between cattlemen and sheep-men. A brash stranger and his sheep arrive in a small town, but not soon after, the townspeople decide they've seen enough of him. When one thinks of singers trying to act, the first culprits that come to mind are Frank Sinatra in "From Here to Eternity" and "The Manchurian Candidate", or Elvis Presley in anything. Usually, the crossover does not work because a particular kind of singer may just have too much personality (or "baggage") to fit himself into a particular role. Here, though, the transfer works, and it is a result of the kind of singer Willie Nelson was, and always has been. His style of delivery as a musician is all understatement, quiet nuance, and behind-the-beat phrasing. There is a sort of conversational verisimilitude in his singing that crosses over into acting (screen acting, at least). His style of singing is almost the equivalent of the "method" school of acting -- it is all psychological and physiological recall. 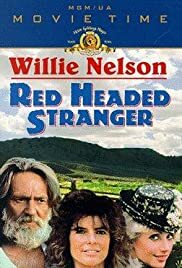 So, Nelson is nearly perfect as Parson Shays, for that reason, and for another; the character was already fully-realized in the musical album version of "The Red-Headed Stranger." The screenplay is largely just a fleshing-out of Nelson's narrative vision. If you doubt that, give the album another listen; it has a surprisingly coherent, and direct storyline that connects all of the songs (even several not penned by Nelson himself, most particularly Hank Williams's "Blue Eyes Crying in the Rain"). Now, of course, the question still remains: how good is the story itself, and how well has it been rendered on-screen? This is not a Western on par with Leone's, Ford's, or Eastwood's. Nor it is meant to be. It is, however, remarkably well-crafted bit of movie-making. For those who object to the seemingly amoral content (the murdering of women), the only response is that a piece of narrative fiction is not a sermon, and artistic judgment is not the same as moral judgment. Furthermore,the old-school, "white hat/black hat" type of Western was already on its way out around the time of "Shane."